Natsukashi Garage for me has always been about more then just the cars. Since a lot our lives are spent around them you develop more of a relationship with the cars and the people behind them than you anticipate. Sometimes however we need to take a step back from everything in our lives and re-evaluate everything that’s going on our them. These past couple of weeks I have been going through a bit of a struggle and though this site has always been about the cars I’d like to take this time to address the people and life in general. Judging people about their cars is something that everyone does. On the outside a car can look beat up, super clean, have expensive parts, or even have parts that others would laugh about. To me I think cars are like people. Everyone is different on the outside from clothes to body type to even race or religion. These visual queues leave us to make assumptions about people or cars right off the bat when really we know absolutely nothing about them. I think it’s a serious problem that has always been apart of our society regardless of how much we preach about getting to know a person or even a car first. What I ask of our readers is to have everyone take their time more to get really get to know people or their builds before we pass judgement. It’s a problem I know that I myself need to address especially since I have at times been considered a purist (ie no fake wheels, fake parts, etc). One of the problems with making such judgement is that people are always growing. I myself have grown from my hatch which started out with only fake parts to slowly filtering them all out until things were the way as I saw fit. I see my progress continuing with the SI. Now I would rather save for that part that means so much to me rather then just go out and buy the knockoff at half price. After all, patience is a virtue. Growing is all a part of the process and if we constantly ridicule people for their cars or who they are we may never get to see what they can really become. I want to see everyone grow. I want to see builds grow. You can have the biggest POS on the road and if you love it to death and drive it all the time just to drive it I want to meet you. I want you to tell me your plans and dreams for your car. We all start somewhere and I’m just glad that you are starting and keeping this society that I love alive. I’m sure at this point I’m just rambling and I’m sure all the context of this post has been lost but if you made it this far into reading I thank you. Lastly, I would like to take this time to tell all of you how much I appreciate you. I wouldn’t be where I am today without you. Everyone that I have ever met, especially through Natsukashi Garage, has made a great impact in my life. It’s everyone out there that is working hard to achieve a goal that inspires me and, if I may say so, us of Natsukashi Garage to keep pushing on in life whether it be cars, careers, or whatever. Stay true to who you are and don’t let people tell you that you can’t when you can. See you all at Wekfest tomorrow. So as of recent, I’ve been missing how my 86 drove and felt when it was just hammered to the ground. Back before, I ran slammed in m celica supra 14″ wheels. Needless to say, it was lowlowlowlow. So as of the last two weeks or so I have been hard at work preparing y engine bay for my swap. 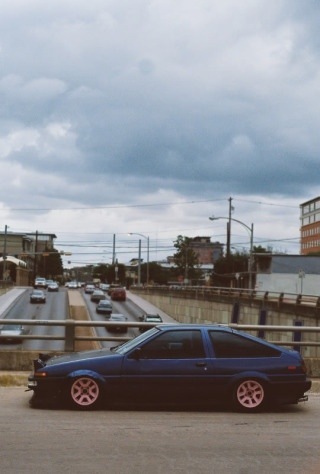 Being inspired by the car peace ae86 that was featured on speedhunters, I was going after something similar. 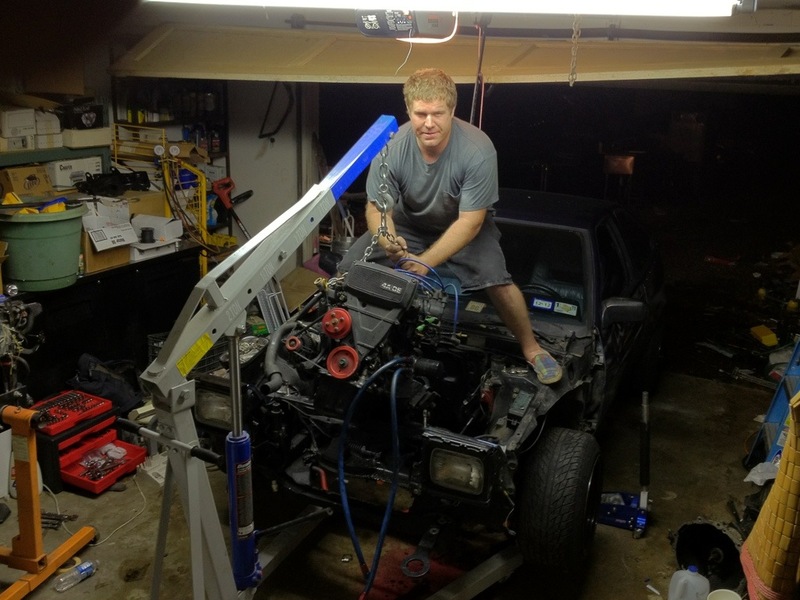 The first step of course was to get the engine pulled. That’s to he help of one of my 86 buddies, Joseph, we had it out in no time!